Volunteer in the Valley is a weekly Internet radio show/podcast on KPCRadio.com, Pierce College’s student-run online radio station. 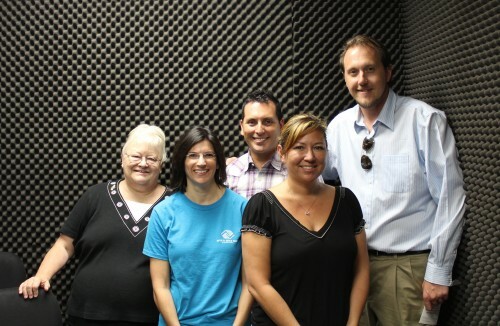 Host Milo Anderson invites organizations in and around the San Fernando Valley to tell listeners about the work that they do and the help that they need to do it. Kelsy Maruyama, Vice-President and Shani Grafman, Director of Development of the Boys and Girls Club in the West Valley. Phone Number: (818) 610-1054. Jo Ellen Krumm, Volunteer Coordinator for the Valley Village. Phone Number: (818) 587-9450. Dwayne Trujillo, Marketing Coordinator for the Valley Food Bank. Phone Number: (818) 510-4140. If you work with an organization in need of volunteers and would like to be on the show, please contact Milo at manderson.kpcr@gmail.com or volunteerinthevalley@gmail.com. Click here to see the Volunteer in the Valley on Facebook. Click here to access Volunteer in the Valley on Twitter.